Bounce houses can be tremendous fun, but also quite dangerous for your kids. In fact, in just the last month, two bounce house accidents resulting in child injuries have made national news. In both incidents, the inflatable house the children were playing in was picked up and carried away by a surprising gust of wind. 1. Make Sure the Bounce House is Secure. These recent separate incidents, occurring less than a month apart, demonstrate just how hazardous bounce house can be when they are not secured properly. In New York, two young boys were hospitalized with serious injuries after the bounce house they were playing in was blown upward by wind, eventually dropping them at least 15 feet to the ground. And even more recently in Denver, an inflatable “bouncy slide” was blown across a lacrosse field, injuring two children. 2. An Adult Supervisor Should Be Present at All Times. At least one adult should be present when children are in or near a bounce house, as an injury can occur at a moment’s notice. In fact, several thousand injuries occur from bounce houses every year, and most are not caused by Mother Nature. 3. Do Not Ignore Warning Signs and Labels on Bounce Houses. It can be very tempting to blame manufacturers for any bounce house injuries, but many of these accidents occur because adults fail to read the warning labels. Now, if the warning labels happened to be defective, then there could be grounds to sue the manufacturer. 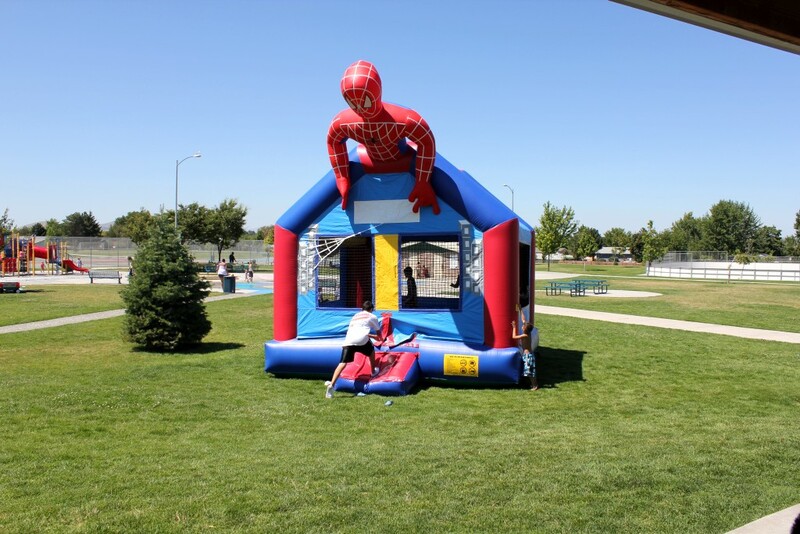 Is your child having a birthday bash that will feature a bounce house or other inflatable toy? You may want to consider having parents of children that will be attending the party sign a liability waiver before they can play in the bounce house. This is just an added precaution that could help you ward off any personal injury lawsuits. 5. If Injured, Know Who Could Face Liability. If your child is injured while playing in a bounce house, do your homework and know who could be potentially liable. Under the theory of premises liability, property owners that have a bounce house on their land could be liable for any injuries suffered on site. If a private company was hired to inflate or provide the bounce house, then that same company and its workers could be held responsible for accidents arising from negligence. If a defect with the bounce house caused a child injury, then the manufacturer could be legally liable for damages. While they can be dangerous, bounce houses can still be fun for children and safe for use when caution is exercised. Unfortunately, sometimes injuries are unavoidable. If your child has been injured in a bounce house accident in Spring Hill or Brooksville, please call a Hernando County Injury Lawyer at Whittel & Melton today at 352-666-2121 for a free and confidential appointment.